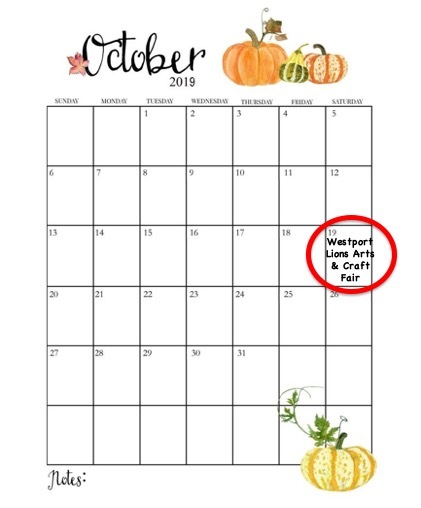 The Westport Lions will sponsor its annual Arts & Crafts Show on Saturday, Oct. 19, 2019. Enjoy this one day event at the Westport High School with something for everyone! Come and support local artisans and crafters from a wide range of media including photograph, jewelry, pottery, painting, wood, decoy carvings, weaving, natural beauty products, food and much more. Bring the kids! This year's show will feature New Bedford-based magician Skip Daniels. As the Prince of Mystery, he has been bedazzling audiences with feats of magic for over 30 years. All of the proceeds from the show will go to support charitable endeavors throughout the community. Stay tuned for times and more details!